It's impossible to tell when the Saints will get over the egregious and now infamous no-call on the blatant pass interference ​on wide receiver Tommylee Lewis. Fellow wideout Michael Thomas surely isn't getting over the call any time soon. He made that clear when ​he called the Super Bowl a "LIE" in an impassioned Instagram story. That clearly wasn't enough for the All-Pro WR, who is back to trolling the refs on social media. We completely understand his disgust. You can argue all night long the Saints were robbed of a spot in the Super Bowl. Bring it up to a fan in New Orleans and they'll give you 1,000 reasons why the Saints should be playing this Sunday and not the Rams. 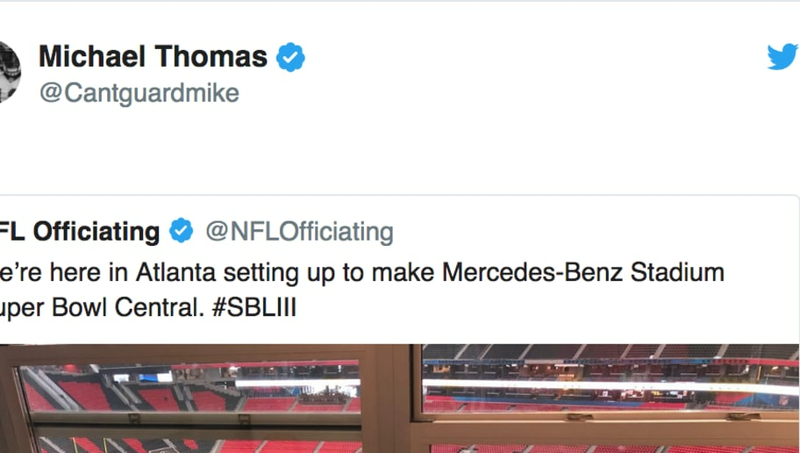 But, maybe before Thomas keeps on trolling the refs, he should delete some of his old tweets? For Thomas, he'll just have to use this terrible incident as motivation for next season. Yup, sorry Saints fans, next season.